As spring flowers bloom, we remember how they survive the cold, dark season to return and thrive again. We too need a reminder of our resilience. These books feature strong female characters who endure loss of family members, accidents that alter the body’s abilities, trauma, career obstacles, military occupation and more. Taking place during different time periods and in different areas, they offer a variety of people and places. Consider picking up one of these recent novels. Katherine Center’s How to Walk Away introduces Margaret just as she graduates from her MBA program and gets engaged to her longtime boyfriend. Then her dreams literally crash as her new fiancé loses control of the plane and they land in flames. Margaret finds herself in the hospital without the use of her legs, the job she accepted and her fiancé. As heavy as this sounds, the strength she gains as she goes through physical therapy and adjusts her life to meet new goals shows such an admirable resiliency. Lisa See’s latest novel The Island of Sea Women shares so much historical and cultural research through Young-sook’s life as a haenyeo on the Korean island Jeju. Continuing the tradition of the women in her family, Young-sook learns how to dive to earn a living so she can contribute to her family’s household and later her husband’s and children’s educations. Witnessing the dangers of the sea and the horrors of military occupation, she carries the weight of loss as she cares for her family. Most importantly, her lifelong relationship with her childhood best friend Mi-ja carries the themes of female friendship and forgiveness. Emily Giffin’s All We Ever Wanted revolves around a privileged community in Nashville community and a couple families whose high school aged children end up at the center of an inappropriate photo scandal. Differences in age, gender and class come into play as each character protects their reputation and values. The mother of the boy who took the photo gives a nuanced look at the long term effects of such situations and serves as a catalyst for progress. Taylor Jenkins Reid’s runaway spring sensation Daisy Jones & the Six flows as an interview that tells of the formation, fame and fade of a successful band in 1970s Los Angeles. Though it has the usual expected elements of rock n roll, it has an unexpected spine to its antics. Band leader Billy Dunne’s marriage exemplifies a relationship with a solid foundation and staying power. His wife Camilla and Daisy show the spectrum of struggle with maintaining a sense of self, purpose and connection when it comes to career and marriage. Susan Meissner’s historical fiction novel As Bright as Heaven takes place during the Spanish flu epidemic of 1918. The Bright family moves to Philadelphia to join the family business at a funeral home. As war and flu threaten to tear families and communities apart, the three sisters learn how to survive and how to stay connected to each other. The ladies mature faster than normal due to their circumstances, but they still fulfill their dreams. Rich in history and familial themes, this story shows the depth and timelessness of strength. Irene Hannon’s Pelican Point, the fourth installment in the Hope Harbor series, sweeps its characters right off the page in its small ocean town setting. Ben Garrison returns to Pelican Point to inherit a lighthouse that he intends to sell so he can move on with his life. He meets Marci, who wants to save the lighthouse, and tensions arise. As they get to know each other and their neighbors, they see healing happening as issues get brought to light. Ultimately, Marci shares her strength with those around her so they can all progress. AJ Finn’s The Woman in the Window pays homage to Alfred Hitchcok films in his debut mystery/thriller. Anna Fox lives alone, and she doesn’t leave the house. Struggling with illness, her she connects to an online group where she offers support to others. She witnesses a murder at the house next door but no one believes what she saw. 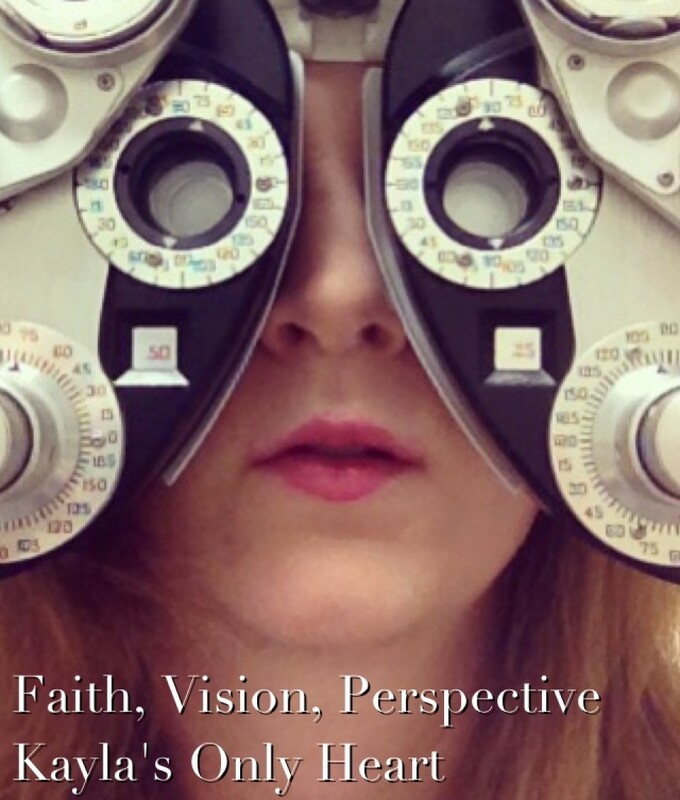 Anna’s story demonstrates strength in the face of fear and doubt. I received The Baker Compact Dictionary of Biblical Studies by Tremper Longman III and Mark L. Strauss from BakerBooks in exchange for a review. This mass market paper sized dictionary makes a useful, non cumbersome addition to a theologian’s or person of faith’s shelf. It includes entries for important people, literary devices, historical periods and more. Easy to understand, each definition gives a starting point for understanding the context of biblical concepts. Sometimes it works like a dictionary giving a definition of a literary devices, and other times it has a longer paragraph moreso resembling an encyclopedia entry. I enjoyed reading through this to glean a little more information and learned a lot about various historical perspectives and movements regarding interpretation of the bible. I recommend it as an accompaniment for studying the bible. Chrystal Evans Hurst’s She’s Still There: Rescuing the Girl in You lays groundwork to help you set and reach goals while standing strongly on your faith. If taken slowly and done with the help of a mentor, it can serve as groundwork for making progress on the path to fulfilling your purpose. Hurst honestly shares her own experiences while providing practical advice regarding how to take action toward making desires into reality, make use of a support system with specific types of encouragement, and keep your focus on the right aspects of life. I have soaked in this information and found myself referencing it again. My accompanying workbook still has exercises to do, and I’d like to go back to the book to instill some concepts I’ve flagged there, most importantly the support system. I recommend this for someone looking for some extra encouragement or ideas on how to structure goal setting and support system creation. Maggie O’Farrell’s This Must Be the Place has a spot in my top 10 reads from last year and probably the top spot for book club selections last year and a spot on my all time favorites list. This novel covers so much territory in time, place, relationships, and more. Daniel Sullivan’s life saga brings infinite contemplations on life as he navigates personal and career triumphs and pitfalls. Each experience feels so real, and each character makes you wish you could meet them in some capacity. O’Farrell has such writing strength in style, depth, and intelligence, and that makes her an author whose work I want to complete. After having Kristin Hannah on my radar a couple years, Modern Mrs. Darcy Book Club finally got it to my currently reading stack, and boy did it take me for a trip through the wilderness both physically and emotionally. The story took place in 1970s Alaska, and she paints a vivid picture of surviving the harsh realities of a place with severe winters, periods of no sunlight and little connection to the mainland. While I enjoyed the detail, it made it crystal clear to me that I would not make it through my first season there. Not only did the Alaskan terrain prove difficult, but Leni’s home life did as well. Again, Hannah created a realistic aspect of her story in the Allbright family’s tension. She explored how the tumult affected all members of the family through different angles of pain. The wilderness of home added a whole new layer to the story as the characters formed relationships with their community and learned how to cope as well as survive. As Leni went from a happy child carrying her Winnie the Pooh lunchbox to school on her first day in Alaska to the adult who eventually started her own family, I felt gutted. She helplessly stood by her mother, staying silent about their situation, and the powerlessness of such trauma expanded well beyond them. Hannah made readers experience the darkness of such an Alaska frontier both outside and inside the home. Jamie Ivey vulnerably shares her faith story in If You Only Knew: My Unlikely, Unavoidable Story of Becoming Free. Though raised as a Christian, Ivey’s life took some unexpected turns. She doesn’t sugarcoat her choices and their consequences as she sees where they have taken her, and it shows her courage and faith to face the inevitable judgment again. Overall, the reflection reminds us that we’re not alone in our struggles or doubt. Christians don’t always live up to their expectations of themselves or each other, but that doesn’t mean God doesn’t continue to lift them up again with grace. Ivey’s vulnerability encourages me to trust someone, even if in writing, with my own story. Sharing how God transforms us opens an honest connection where we can all learn how to walk in better faith, and Ivey does that as she invites readers to do the same. Kasie West’s Listen to Your Heart makes a fun Valentine weekend read. Kate doesn’t excel at talking to people but ends up hosting her school’s new advice podcast. Finding herself better than she expected, she gains confidence in her voice. Her development in her craft as well as her crush bring the elements of a teen romantic comedy. Wondering if she or her crush would speak up during their playful banter and if the anonymous caller would get revealed on the show keeps me smiling as I turn the pages. Circe, Madeline Miller’s Greek mythology retelling, has earned its slot on my 2018 Top 10 Read list. It also takes the spot for most pleasant surprise. My depth of knowledge in mythological topics doesn’t go far. Yet this story still holds easy accessibility. Circemakes a thoroughly interesting character, and I find myself steeped in the setting’s atmosphere. She spends a lot of time alone on an island because her father has banished her. This gives her plenty of opportunity to contemplate her effect on others and if she desires any connections at all. Ultimately, family rivalry stirs the ultimate battle. Circe proves she makes a strong female character. I received a copy of Summer by the Tides by Denise Hunter from NetGalley. Summer by the Tides makes for breezy fun at the beach as a positive summer read. After losing her treasured job and her boyfriend, Maddy returns to Seahaven to find her missing grandmother. Her two older sisters, who are estranged from each other, arrive at the cottage as well. The family goes through the physical and emotional process of clearing out the attic and their past. Maddy even finds a nice, handsome next door neighbor. The story unfolds rather straight forward and predictably, making it a comforting read as you imagine beach waves just off your porch. Look for this book on May 21 as it releases just in time for summer. After my best friend spent a weekend reading Kasie West books, she sent me one of her favorites of the bunch. We read a couple of hers together prior to that, and she picked well again with one that exceeded expectations. This one made it to the number two spot of West’s work in my book. This story starts on prom night, so it has me hooked by its first mention in the parking lot. After a stranger poses as the boyfriend who just broke up with her, Gia has to navigate sharing news of the breakup after the dance. Teen angst surfaces as it tends to do when anyone experiences a breakup, and Gia learns more about herself as well as her friendly stranger. Together they explore vulnerability and acceptance in friendship with each other and with their friend groups. I enjoy the story as well as the kindness of the characters and their friendships. Further reading: My favorite Kasie West book is P.S. I Like You, and I recommend that as well as any of the others I’ve read. They make fun, quick reads but also share a sweet message.